Named the Best Tall Building in the Americas in 2012 by the Council on Tall Buildings and Urban Habitat, the final two towers in the Absolute City Centre five-building development are better known as the “Marilyn Monroe” buildings because of their voluptuous curvy shapes. The towers rise to 50 and 56 storeys, with floors sequentially positioned in a rotating fashion around the core, making each floor unique. Spiralling into the sky, this construction masterpiece was an engineering marvel: as concrete was poured, the unique off-balance concrete structure was only balanced every fifth storey. 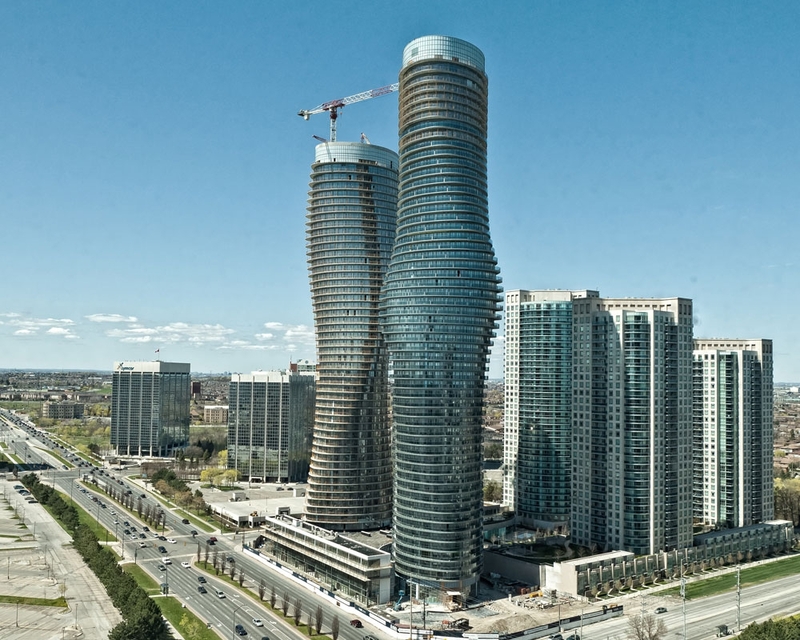 This iconic silhouette has put Mississauga on the map, and is the latest architectural and artistic wonder from the visionary development team. At Krcmar, we really had to sharpen our “spiral” pencils to survey this outstanding project.